Hey! Today, on the blog, I share with you a tool that's perfect for anyone. It's the Ombir Pro Multi-tool from Vodiy! 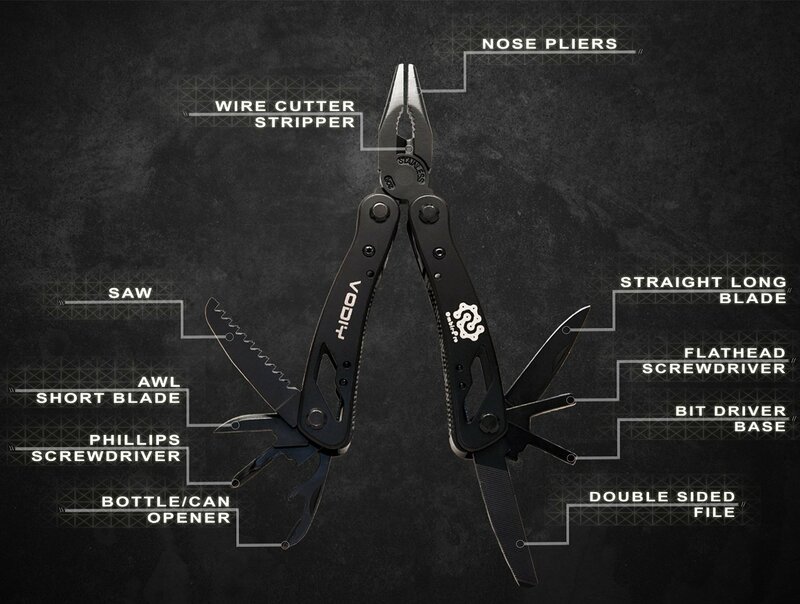 This multi-tool is perfect for any situation. 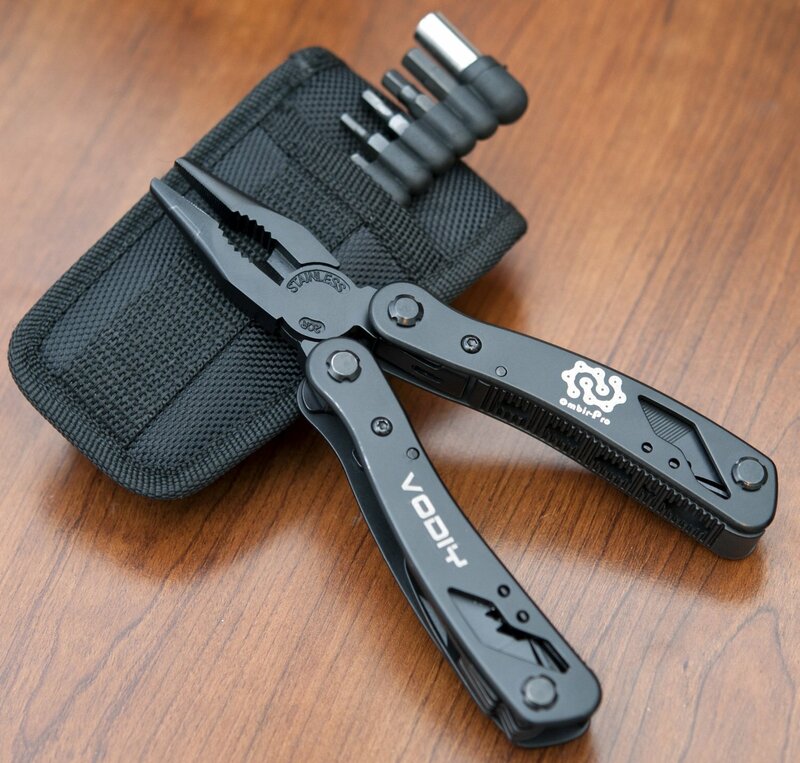 Perfect for you to take along with you on camping trips. It's great to have around for quick car fixes or in home fixes. It contains 25 pieces. All in one compact size sheath. SUPERB DESIGN - Immaculately polished surface. Tools open and close precisely. Perfect combination of quality, durability, functionality, size and price. I like this tool. 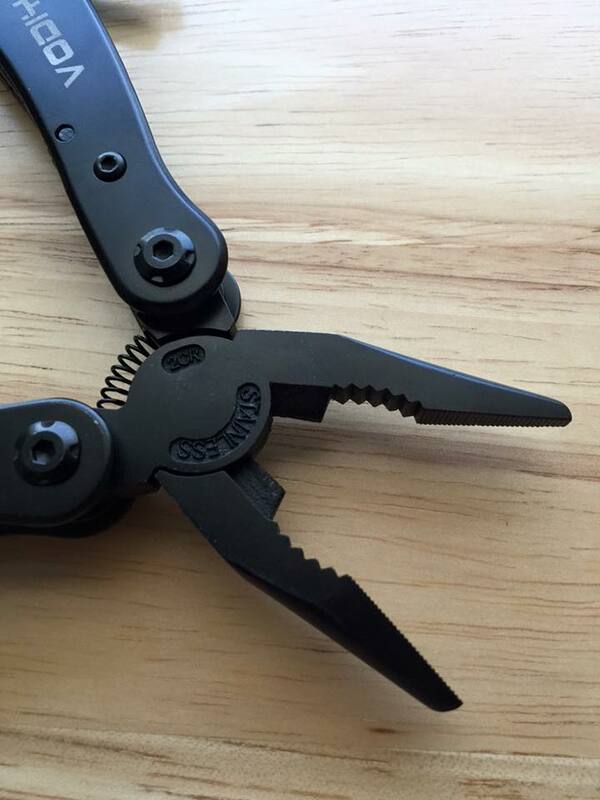 I keep this tool in a place where I can find it. It seems like I am always changing the batteries in toys. One thing I do not like about this multi-tool, which my husband pointed out to me, is that the knife does not lock into place when it is erect. I have not had any problems with it though. The sheath that it comes with easily fits into a back pocket or a pocketbook. 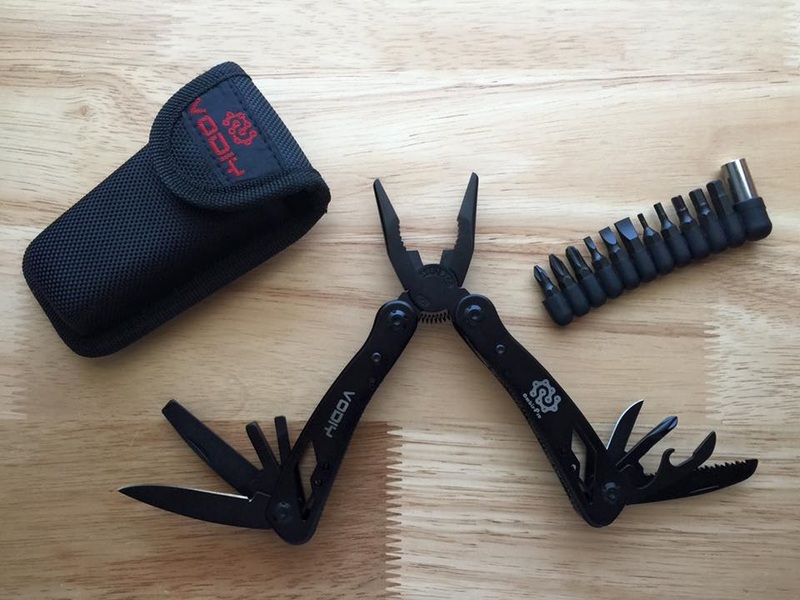 The multi-tool is made nicely and is a great value for the price. Small, but sturdy. The saw and knife are both very sharp. I have not had any problems with rust. Great to keep around for every day use. Or, put it in your car for emergency use. Belt loop on the back of the sheath. Makes a great gift!